Today’s post is one that is quite close to my heart. For a while now, dental health has been something that really preoccupies my mind, probably a lot more than it should do. During second year of University, I would say I was in quite a dark place, in terms of my mental health. I worried about e v e r y t h i n g – I still do, just not to the extent that I did. I would constantly be petrified of things and cry several times on a daily basis, I wouldn’t feel safe unless I was in tucked up in my bed. Let’s talk about one of my worries…. TEETH. You may have seen a previous post of mine. I spoke about my constant worries about my teeth falling out – you can read that here. But that isn’t really what this post is about. So…. I am going to try to describe my thoughts, whilst trying to sound as ‘normal’ as possible. Almost two years now (gosh….) I had just been diagnosed with my mental health problem. I feared of contamination and dying far more than anyone else that I knew. The cleanliness of my toothbrush was a particular problem of mine. I was at a stage where I would change my toothbrush daily because I was so scared of the contamination. Not only was this expensive, but I ended up buying really cheap toothbrushes in packs of 5, that probably didn’t really do a good enough job. Some nights I didn’t brush my teeth because I was so scared of my toothbrush being dirty and I would have to wait until the morning to go out and buy a new one. But from this, I would then worry about my teeth falling out. SUCH a v i s c i o u s c i r c l e.
From then on, I constantly needed a back up toothbrush in my drawer, otherwise I would panic. I went through about 50 toothbrushes I think in two months. And that just isn’t right. This is where Nano B toothbrushes* come in…. With these antibacterial properties, you can have peace of mind that your toothbrush is squeaky clean! Just think about it…. you have to put that in your mouth! 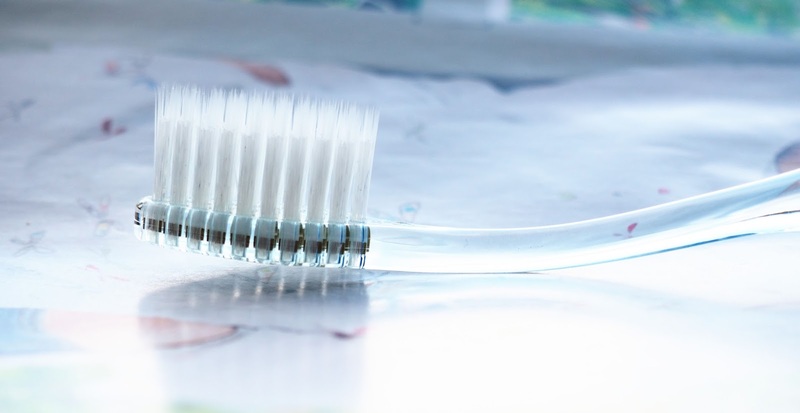 Reducing the bacteria on your toothbrush can reduce illness, gum disease, cavities and bad breath. There are seriously shocking facts about how many germs the average toothbrush has on them…… I won’t tell you because it will make you want to cry and buy a new toothbrush everyday. 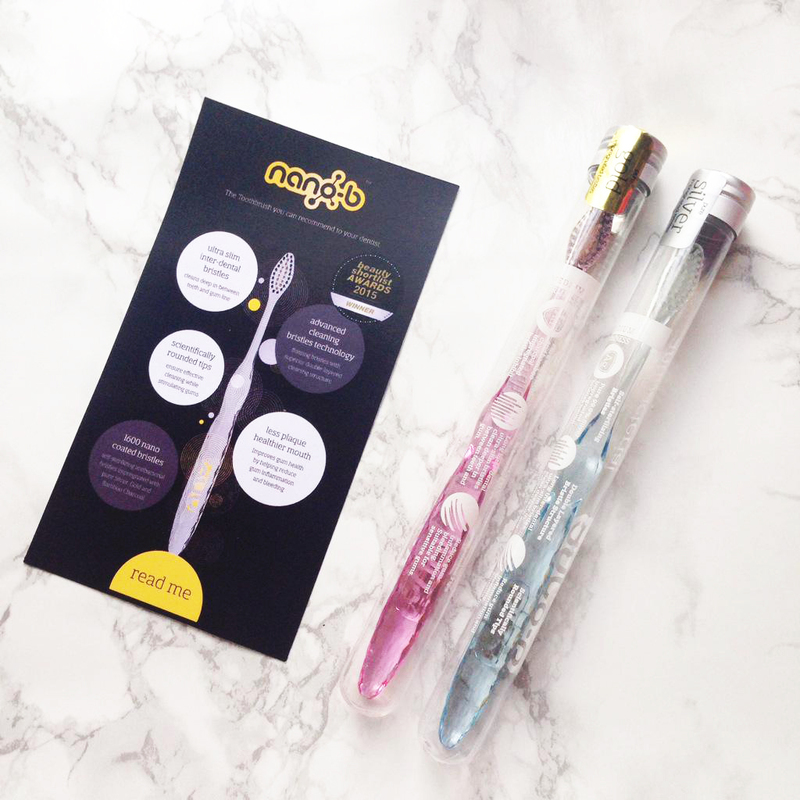 The thing I also LOVE about Nano B toothbrushes is the case they come in. I know, I know, how can something as simple as a case make all the difference? IT DOES. I know you can buy toothbrush cases in stores such as Superdrug and Boots, but I often have trouble opening them. I took one on holiday last year from Boots, and opening the case was far more hassle than it was worth. This screw top case has made travelling a whole lot easier for me. An experience I used to dread. This is what the toothbrush looks like close up. Don’t the bristles look amazing! The double layered bristles enables the toothbrush to reach all those places (and plaque… gross) that other toothbrushes may not reach. The tips are also rounded to reach deeper into the gum line for a happy, cleaner, healthier mouth! When I first used my Nano B toothbrush, I will admit it did really quite hurt. The bristles are perhaps sharper than other toothbrushes. But when I use it now, it doesn’t hurt at all, and that makes me think that my gums are in a much healthier condition, and that makes me very happy – they feel SO clean and don’t bleed AT ALL now either, yippeeee!! You can purchase either a charcoal and gold toothbrush, or a silver toothbrush. The charcoal toothbrush has black bristles and has whitening properties, the silver toothbrush is recommended for sensitive teeth with bleeding gums. I have been using the charcoal toothbrush (pink handle) for a few months now…. (I am still using the same one!!! SUCH an improvement on my previous life) which is why I haven’t used that one to photograph, it is very well used – I love it! 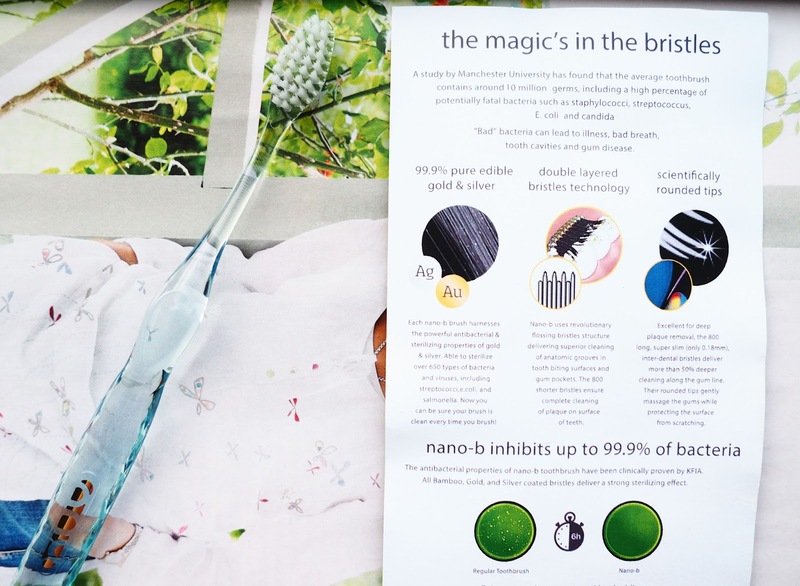 Nano B toothbrushes come in pink, blue or crystal coloured and are £7.99, or you can buy multi packs at a reduced price! Hope you enjoyed this post lovelies! (and don’t think I am weird….) Do you like the sound of these Nano B toothbrushes? They honestly have changed my life in regards to toothbrushing, they help so much with my contamination worries! I couldn’t recommend them more. These toothbrushes sound really good! I've never heard of the brand before though, I'll have to make a note of them! Oh goodness girl I have dreams about my teeth falling out and it freaks me out! This sounds like a really good brush! Girl, I totally understand you! I don't think you're weird and found this to be rather interesting! I'm a total nut when it comes to teeth. Probably because I hated my 'Bugz Bunny' teeth growning up. OCD is terrible. My sister has it and I also used to work in mental health so I know how devastating it can be for people suffering with it and for their loved ones. I'm glad you've come so far with the help of this!